The recall is for a single LOT of Organic Amaranth Flour (22 oz.) with a sell by date of November 26, 2015, which can be identified by LOT: 169617 and UPC: 0 39978 00911 1. Yesterday afternoon, the Centers for Disease Control and Prevention (CDC) released an outbreak announcement confirming that thirty-eight individuals in twenty different states had been infected with the same strain of E. coli O121 in an outbreak that the agency has linked to flour produced by General Mills, which includes Gold Medal, Wondra, and Signature Kitchens-brand flour. According to the CDC release, entitled “Multistate Outbreak of Shiga toxin-producing Escherichia coli O121 Infections Linked to Flour,” collaborative investigative efforts of the CDC, the U.S. Food and Drug Administration (FDA), and multiple states led to the conclusion that flour produced by General Mills at its Kansas City, Missouri facilities caused the outbreak, which the CDC classifies as ongoing. The CDC release reported that individuals from twenty distinct states had reported E. coli O121 illnesses caused by bacteria that matched the “DNA fingerprint” of the outbreak bacteria. These individuals, whose ages range from one to ninety-five years of age, became sick during a time period that ranges from December 21, 2015 through March 3rd of this year. These dates are subject to change, however, as investigators are still in the process of discovering additional outbreak cases. In addition, the CDC indicates illnesses that occurred “after May 5, 2016, might not yet be reported due to the time it takes between when a person becomes ill and when the illness is reported.” According to the CDC, the process takes an average of two to three weeks. States currently reporting confirmed outbreak cases of E. coli infection include Michigan, Colorado, Illinois, Minnesota, Washington, Oklahoma, Virginia, Pennsylvania, Texas, Arizona, Maryland, California, Iowa, Missouri, Montana, Alabama, Wisconsin, Arkansas, and New York. Ten people have required hospitalization as a result of their infections. In a large multi-state outbreak such as this one, investigators will perform both epidemiologic and traceback investigations. These investigations are carried out by the CDC in collaboration with state, local, and federal health and regulatory officials, and, in this case, remain ongoing. To determine the cause of a foodborne outbreak, investigators ask people with cases of the outbreak strain of the virus extensive questions regarding where, when, what, and with whom they ate in the days or weeks leading up to their illnesses. 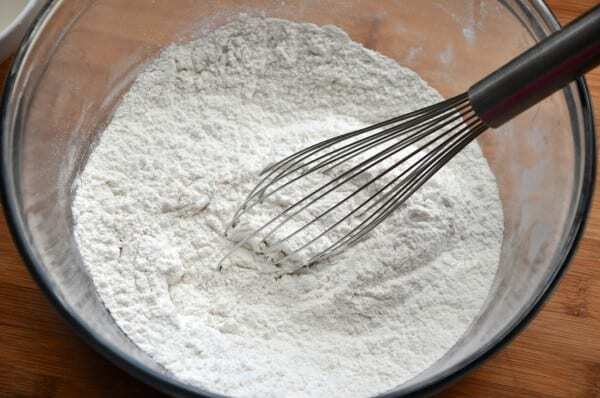 In this case, 76% of individuals questioned (16 of 21) asked whether they or someone in their household used flour in the week before they became ill replied yes. In addition, 9 o of 22 people, or 41%, confirmed that they had tasted or eaten some amount of raw or homemade dough or batter, and 12 (55%) reported using Gold Medal-brand flour. The of the outbreak cases reported that they had played with or eaten raw dough at various restaurant locations. In addition to the results obtained from the ongoing epidemiologic investigation, regulatory officials on the federal, state and local levels performed traceback investigations in an attempt to find the source of the investigation as well. If you or a family member have been affected by food poisoning, please fill out our case evaluation form or call us toll-free at 1-888-335-4901. One of our attorneys will contact you to discuss your case at no cost to you.